Three South Georgia United Methodists have been awarded United Methodism’s highest honor, the Harry Denman Evangelism Award. Given through the Conference Witness Team, the Denman Awards recognize outstanding work in the field of evangelism. 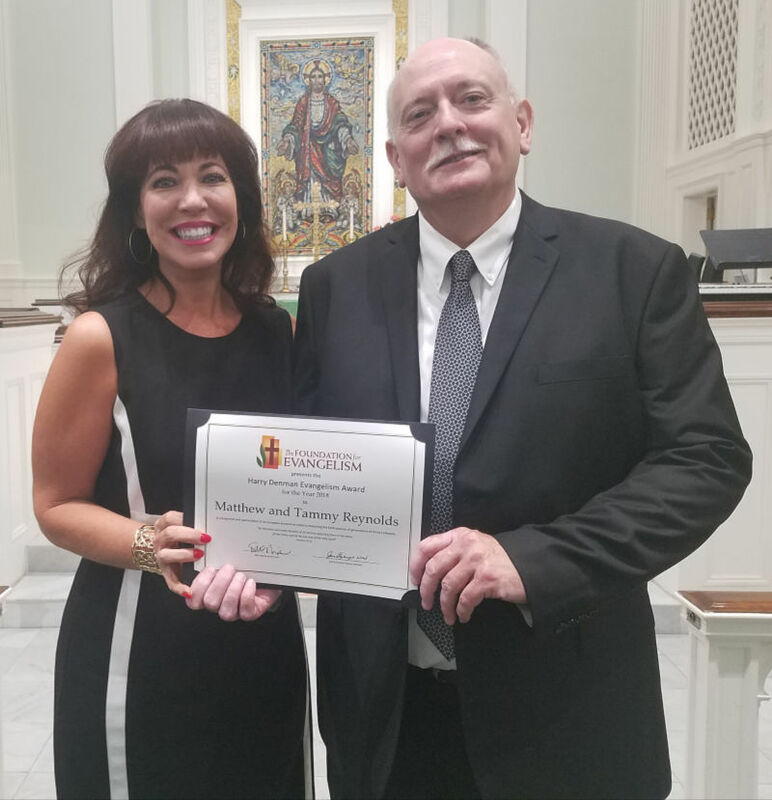 Tammy and Matthew Reynolds, members of St. Paul United Methodist Church in Columbus, are this year’s laity Denman Award recipients. The couple teaches St. Paul UMC’s sixth-grade confirmation Sunday school class and attends many retreats with the children. Tammy helped create and implement the church’s “St. Paul for All” day of evangelism and mission, and both Tammy and Matthew participate in the day of service, which benefits 15 Columbus-area para-church ministries. They are also deeply passionate about the church’s Ukraine Ministry, having traveled to Krivoy Rog, Ukraine more than 20 times since 2000. They share the good news of Jesus Christ with orphans and their caretakers, and even when home, Tammy holds a weekly conference call with each orphanage to discuss the wellbeing of the children. Andrew Bos, 16 years old and a member of Harvest Church in Kathleen, is this year’s youth Denman Award recipient. As a member of his school track team, Andrew saw an opportunity to introduce his teammates to Jesus by starting a team prayer ministry, and at practices and meets he gathers his team together for prayer. A faithful participant of a weekly, small-group Bible study, Andrew regularly invites his friends to join him to learn about Jesus and the Bible. And each Christmas he helps lead and organize a Christmas luncheon for residents of the local Salvation Army Safe house. But perhaps the ministry he’s most passionate about is the church’s prison ministry. In April 2017, Harvest Church began conducting worship services at Burruss Correctional Training Center in Forsyth. Bos is the behind-the-scenes backbone of the ministry, ensuring that prayer requests are received and distributed, holiday notes are written and mailed, and much more. Since 1982, the South Georgia Conference has celebrated the outstanding personal evangelism ministries of United Methodist clergy, laity and youth. Click here to view a photo of laity award winners Tammy and Matthew Reynolds. To nominate clergy, laity or youth for the 2016 Harry Denman Evangelism award, contact Karen Forrester, Conference Witness Team chairwoman, at karenforrester65@gmail.com.